Stunt Rally has a tutorial mode so you can get familiar with the controls and get a feel for the game. You can also drive through the tracks to get a high score or compete in Championship mode. Other game modes include Single Race, and Ghost Drive, allowing you to chase your time, and there’s a replay too. If you save your race you can watch from other cameras. There is also split screen multiplayer mode. Living up to its name, the tracks will have your car doing jumps, flips and drive through some twisting courses. And you won’t just drive through roads but also on some rough terrain like mud or even water. 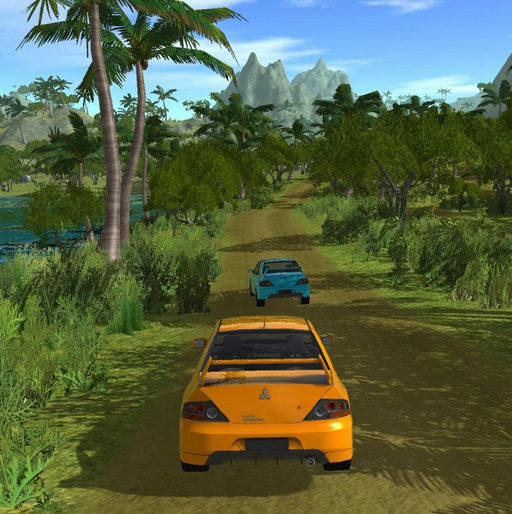 The graphics are very good and smooth, and it really feels like you are driving. In addition the environment is dynamic. The default controls are all right, but if you want to reassign the keys, use a steering wheel or gamepad you may do so. You can also change the sensitivity settings to suit your preference. Stunt Rally also comes with a Track Editor so if those tracks are not enough you can make your own. The game is under active development but it is very much playable. If you love racing games, then it won’t hurt to add this one to your collection. It’s free and a lot of fun.